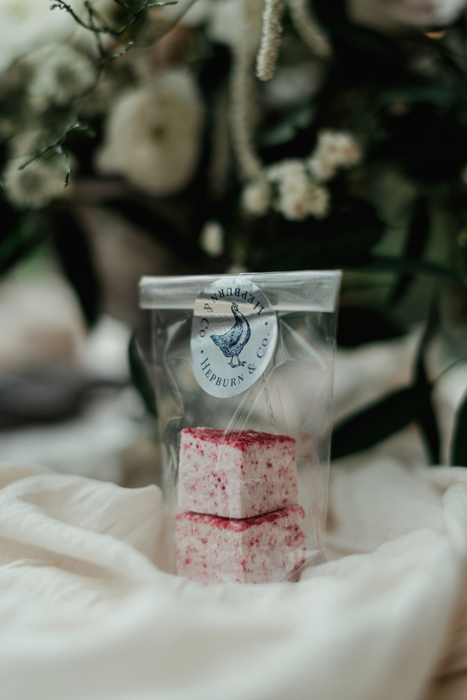 Our elegant, bite-sized marshmallows make the most divine little wedding favours! We love to present them in single or double bags which are hand folded and finished with silver foiled labels in our signature navy or silver, which may be personalised with a bespoke label if you wish. 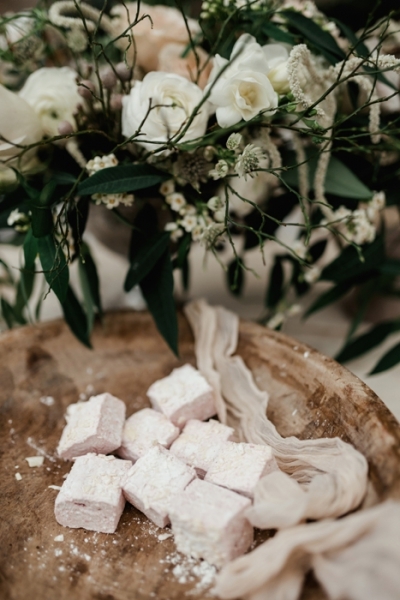 In addition to individual favours many couples choose to purchase our marshmallows loose to be served as sweet canapés at the drinks reception – perfect with Prosecco or Champagne! 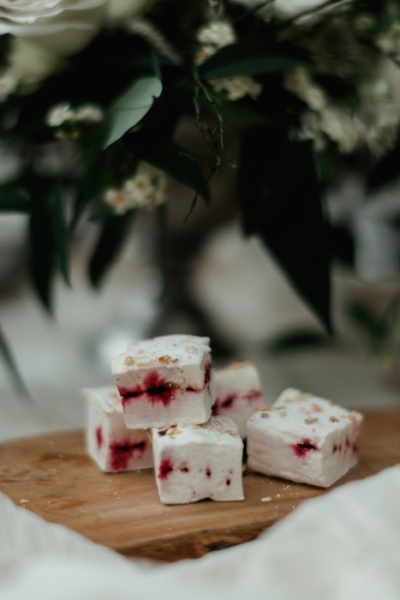 They are also a beautiful addition to a dessert table or Candy Cart. As it is a bespoke service we offer, we are delighted to work with couples to create a flavour for their day, the possabilities are endless! Please do get in touch to explore the possibilities!